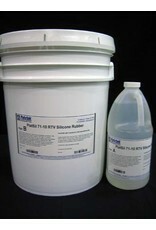 PlatSil® 71-10 is a unique, fast-curing, soft (A10) platinum silicone liquid mold rubber. This low-viscosity (3500 cP) silicone has a 5-minute pour time and a 30-minute demold time; these are the fastest pour and demold times in the 71-Series. Molds made from PlatSil 71-10 are great for casting resins (e.g., polyurethane, epoxy, polyester), waxes, plaster, and a variety of other casting media. Release agents are not necessary for most casting materials. 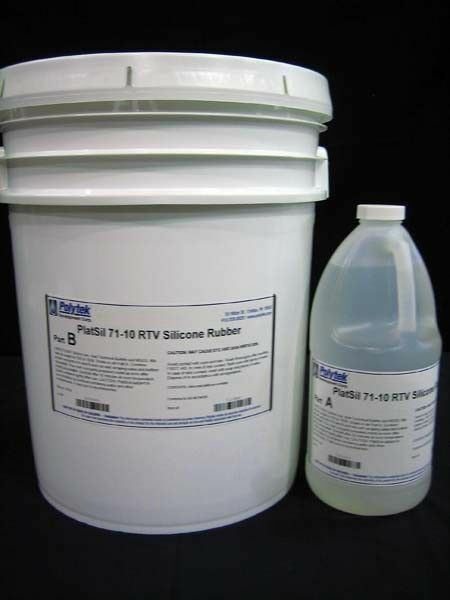 Pour this rubber as supplied or thicken for brush-on molds using PlatThix liquid thickener. PlatSil 71-10 & 71-11 are the softest rubbers in the 71-Series & 73-Series. For a softer rubber, view the PlatSil® Gel Series rubbers. For a rubber with the same Shore hardness, but higher tensile & tear strength, higher elongation, and a 1A:1B mix ratio, consider PlatSil 71-11. 1A:10B A10 5 min. Pink 3,500 cP 26 in³/lb 30 min.